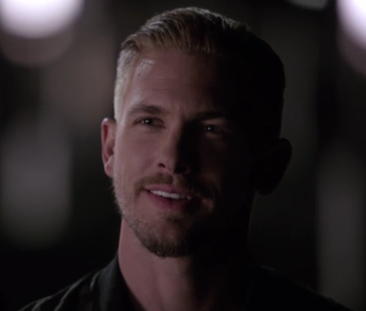 Zero (Adam Senn) finally declares his love for Jude (Brent Antonello) on the Monday, February 8 episode of Hit the Floor airing on VHI. However, don't get too excited just yet. Although Jude clearly reciprocates those feelings, he tells Zero that love is not enough. Jude needs someone he can count on in his life. He needs a man who will be there for him in every way. Can Zero be that man for him? Will Zero finally let his guard down and stop worrying what the world thinks about him? Zero better watch out, or he just may lose his chance with Jude forever. Lucas (Jonathan Bennett) is on the scene, and he isn't going away.